Penpergwm House Residential Care Home is a family run care home with a legacy of over 30 years and a reputation that prides itself on quality, promoting independence and providing superior care. Respecting the next stage of life for an older person means truly supporting you to make the right choices and decisions regarding you or your relative’s care going forward. Our promise of care is to endeavour to guide you through this progression; to ensure that our main priority is understanding and fully appreciating the needs of each and every individual client. 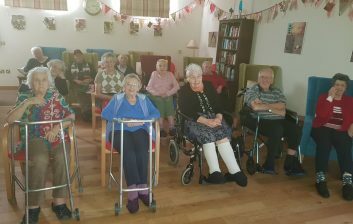 Throughout all our organisation, our care provision has been created and tailored to enrich and complement a maturing lifestyle with all elements of quality of life: comfort, nourishment, activities, entertainment and socialising, viewed as fundamental and of equal importance. We are proud to be able to provide a wide range of care options within Penpergwm House and its sister company Penpergwm Home Care. Choice and options are paramount to how we think about caring. Integrity, compassion and dedication are at the core of everything we do. I DO thank all the staff at Penpergwm for doing such a stirling job of looking after her. I visited yesterday with my cousin and we both thought she was looking better than we had seen her for some time. Your care really is outstanding and she was looking forward to joining in THREE programme events yesterday afternoon. Well done for all that you organise. Penpergwm House; one word covers it – superb! We’ve always found all the staff very welcoming and accommodating and can’t recommend them enough, they make the home feel more like a friendly, family run hotel, than a care home. It was a lovely surprise to see dad's photos and story on your website today and to hear his recollections on his canoeing. It’s lovely to also see all the other pictures. It’s reassuring knowing he’s being looked after so well. Thank you for all you do for him. 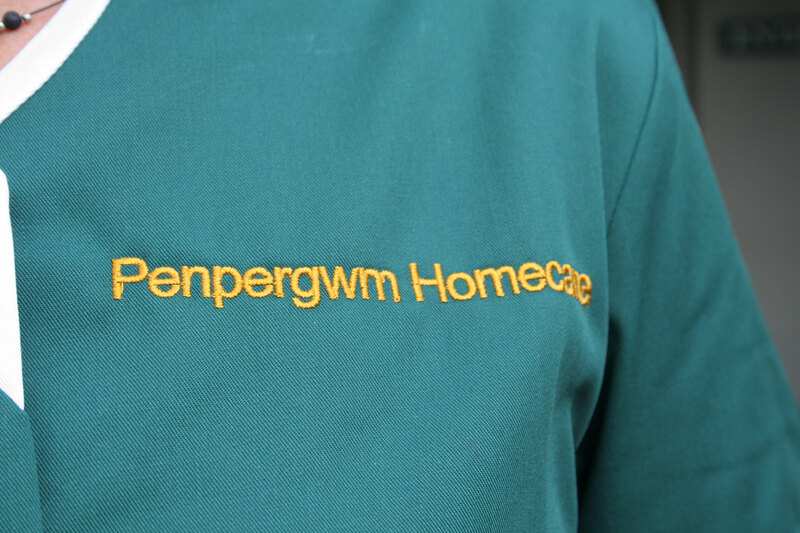 We first contacted Penpergwm when my 88 year old father came out of hospital unwell. This was the first time he had really ever been ill and was very nervous about being at home on his own. It was decided that as he had an operation pending he would go into Penpergwm for a respite period to build up his confidence and strength. First impressions of the home were fantastic, a real fire in the entrance hall and the building and gardens are lovely. The staff were all very friendly and treated patients with great care and respect. The activities provided are amazing; quizzes, exercise classes, art, film, music, games, outings, etc. and are open to visitors as well as residents. The food menus change every week and there is always a choice. 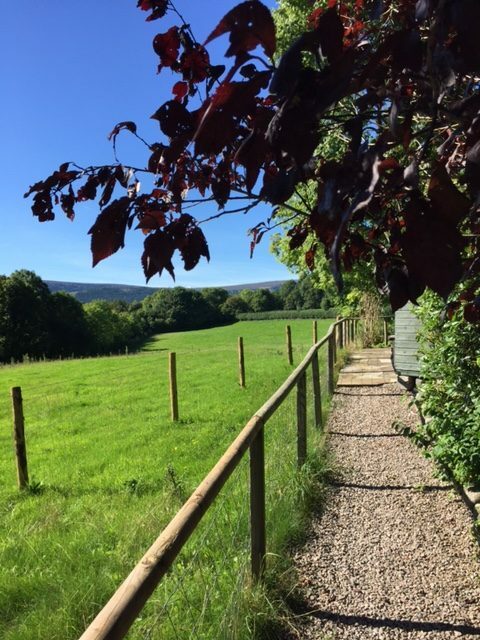 Penpergwm is a very well run and caring home and I would not hesitate to recommend it. The team are very considerate and aware that making the decision to put your loved ones into a home is not an easy one even if just for a short period of time. 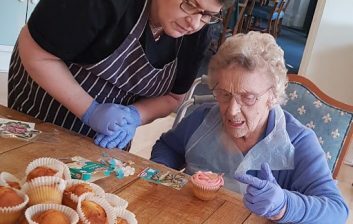 When mum decided she would like to move into a residential care home rather than have 24/7 home care, we took quite some time find a home we were happy for her to spend her remaining years in. The facilities available, which we saw on our tour, were second to none. When it came to showing mum around a couple of days later, even though the staff offered her the chance to gradually move in by doing a couple hours or half day, “day visits”, mum just turned around and said, “no I just want to move in as soon as possible”. This is from a very proud and independent lady, so it’s a firm stamp of approval. 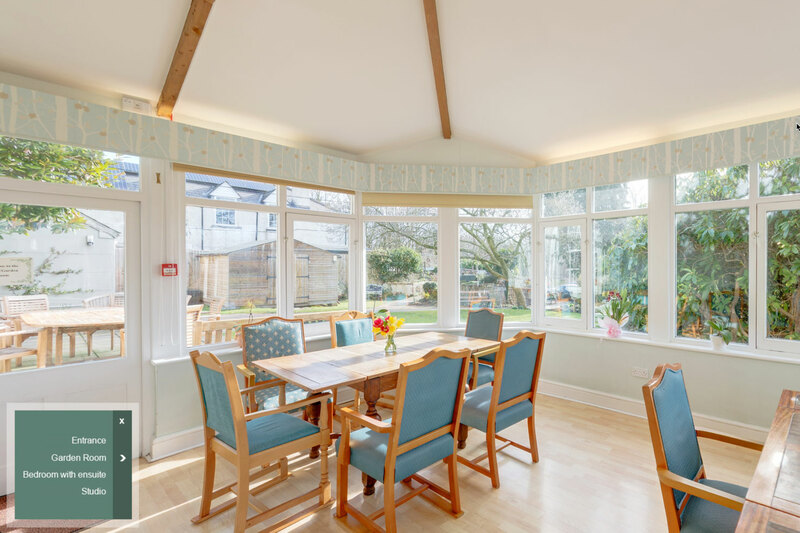 We’ve always found all the staff very welcoming and accommodating and can’t recommend them enough, they make the home feel more like a friendly, family-run hotel, than a care home. Our only hope is, that it’s still the same when our time comes to make the move. Thank you very much for looking after me in February when I felt so poorly. I am grateful for your kindness and company during my stay with you all. I am enclosing a few biscuits for your staff room where you have your much earned breaks. The medical attention and personal care and friendship was great. A huge thank you for last Sunday’s Film & Tea event. Your staff provided a warm welcome and such care and attention throughout. Everyone enjoyed a very lovely afternoon and wish to convey their deep thanks, All the best wishes, Kevin. 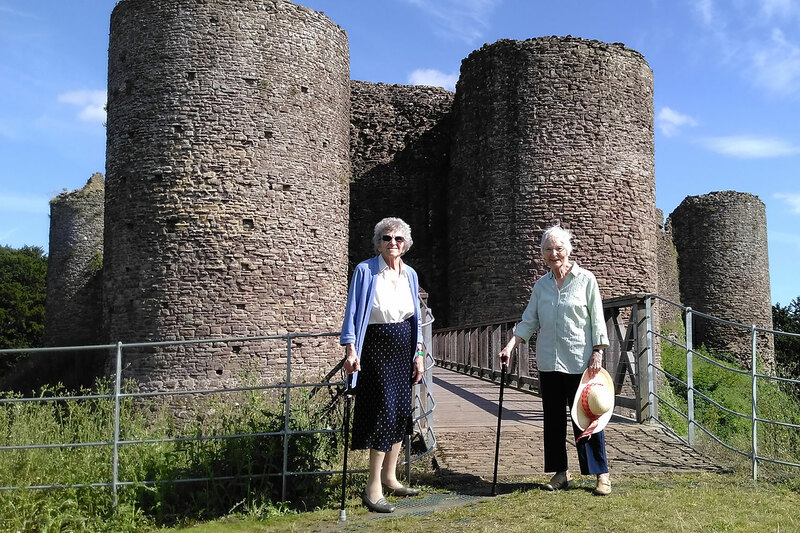 My sister and mother are both looking forward to the Taster Day at Penpergwm and I am sure they will have a fabulous experience there. Thank you also for so quickly arranging the Domicillary Care for mum regarding the Friday morning breakfast call and transport. We are truly grateful to you for this as it really will be a great blessing not only for mum but also for Caroline and myself. My mother attends Penpergwm for the day twice a week. She is picked up and taken home at the end of the day. Mum looks forward to her days there, she particularly enjoys the organised activities, the garden and trips out. I am grateful for the respite, as it gives me a couple of days a week I can relax in the knowledge mum is well cared for and having a nice time. Recently Mum became a resident for a period of a couple of weeks. This had to be arranged at short notice, the staff arranged this efficiently and Mum was given a lovely room. The staff already knew her and vice a versa which helped mum settle. The staff encouraged mum to maintain as much independence as possible and were available if needed. Grand Slam for Wales enjoyed by all! 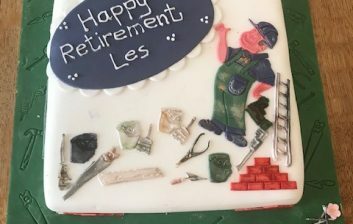 Les leaves us after 22 years! Would you like to visit Penpergwm House?